We are a growing network of animal lovers who desire to offer the best possible care to our animal friends throughout their passing, and to support people worldwide in providing hospice care for animals. 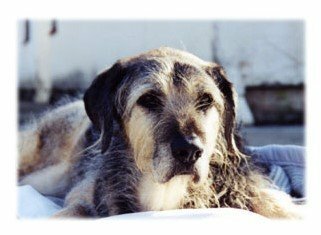 If you are currently providing hospice care for your animal and are in need of support, please click here. Momo, 17 years old, the day before passing on her own. Being there for our animal as it completes this life cycle can be one of the most challenging, and at the same time most rewarding undertakings we may ever experience. Gratefully in many cases, just like for humans, skilled hospice care can make it possible for animals to fully live out their lives and pass peacefully in their own time, preferably in their home environment. In those exceptions when the dying individuals comfort cannot sufficiently be maintained despite best possible care, euthanasia may still be needed to end hospice. Enhancing availability of high quality hospice care for animals is at the heart of our work. Many feel there is great value in allowing the natural dying process to unfold, yet they are not familiar with that process and how to best care for an animal loved one who is transitioning. Supporting a dying animal is an art that can be learned, and benefits greatly from preparing ahead of time, before the actual hospice situation arises. The online classes "SPIRITS in Transition" have been designed for that purpose. This site currently gives access to e-mail support worldwide in English language, and to phone support within the United States. We are happy to welcome anyone volunteering their experience in additional languages and countries.